You see them on virtually every website/blog these days, but do you really know what they are? More importantly, do you know how to use them effectively? Contrary to popular belief (or just pure ignorance on the topic), RSS feeds are quite valuable when it comes to content syndication. So what the heck are RSS feeds anyways? They are basically a simple subscription tool for content syndication. When you subscribe to an RSS feed, you’ll be notified every time there is new content on that particular blog (or feed). 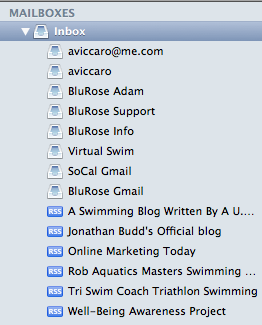 The most basic way to subscribe to an RSS feed is to subscribe by email. Whenever your favorite sites publish new content, you get that content sent directly to your inbox. You can actually read the blog post from your inbox without ever visiting the site, which is a pretty useful feature (though publishers would love for you to actually visit their site & browse around :)). Just pick your reader and set your subscription, and you are good to go! How do you create your own RSS feed? If you have a blog, it should come with an RSS feed already built in, but I recommend using Feedburner by Google just to simplify things. Go to www.feedburner.com and sign in with your Google account. From there just follow the instructions, and burn your first feed. You should now have a simple feed address that’s easy to remember. For those of you out there who are more the content syndication types rather than just readers, RSS feeds will definitely simplify your life and allow you to focus your time on finding the good content rather than syndicating it. Sometimes its tough to stay consistent with your Twitter activity, but by using RSS feeds you can be sure you are always sharing valuable content with your followers. I use TwitterFeed to syndicate some of my content from multiple feeds, across multiple twitter accounts. This helps to keep the valuable content flowing, all on autopilot. *Note: I recommend using TwitterFeed only for Twitter. You can syndicate your content to Facebook as well, but the links are easily recognizable as automatic feeds AND they are shared without images (thumbnails). Sharing content on Facebook with images is highly recommended to get more clicks. First, go to TwitterFeed and sign up for an account. Then follow the instructions and establish your feed, set the Twitter account or accounts you are syndicating to, and you are good to go. You can setup multiple feeds for each twitter account, but don’t go crazy. Some people have so many feeds that they are tweeting every few minutes, which I find to be too much & frankly just too robotic & automated. Put a few valuable feeds on there and leave it at that. Your followers will thank you for the good content instead of unfollowing you for blocking up their twitter feed. By far the best tool I have come across for effectively scheduling & syndicating content across multiple social networks & bookmarking sites is Hootsuite. It blows the socks off of Tweetdeck and i’ll go into why in later blog posts. I won’t go into exactly how to use Hootsuite in this post, but once you know how to burn feeds & syndicate them (like with TwitterFeed), you should be able to figure out how to do the same in Hootsuite.